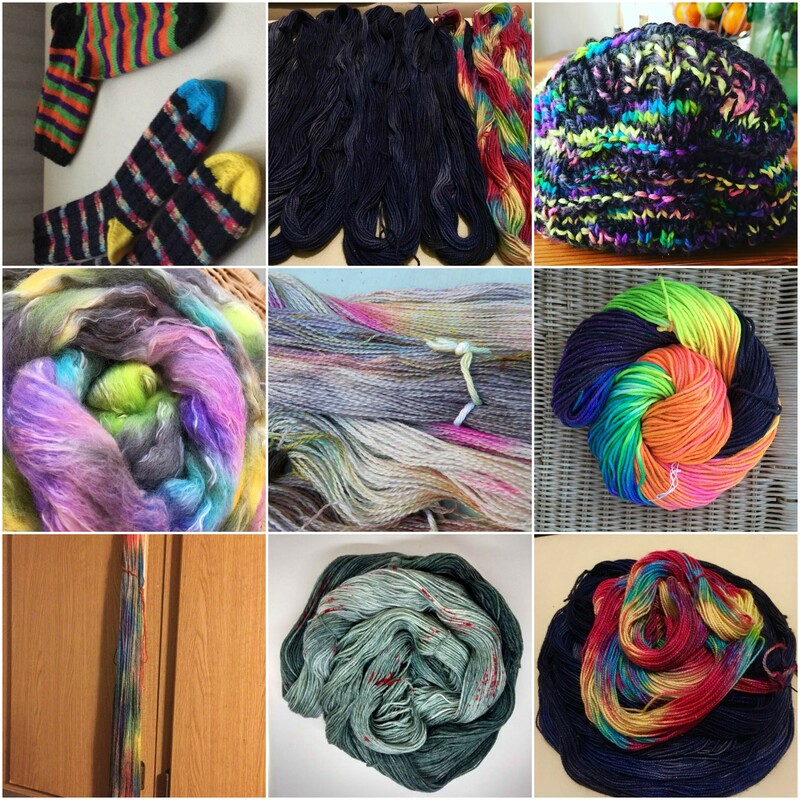 I can’t believe that we’re already coming to the end of month four of the Facebook Dye Group Dye-a-Long (DAL)! We’ve had some amazing contributions, lots of creativity and some great discussion. Each month I set a theme; sometimes I just give a theme based on a word, it might be a mood board, or a technique to try. Everyone is welcome to contribute, beginners through to dyeing pro’s and you can submit as many ‘entries’ as you like. You can use yarn/fibre/fabric, whatever takes your fancy. At the end of the month all the contributions are curated into a gallery and shared on Instagram, Pinterest and here on the blog for everyone to enjoy. The idea is to get people inspired to try new ideas and to encourage people to just get those dyepots out! Have a look at the new gallery to see the contributions to date….